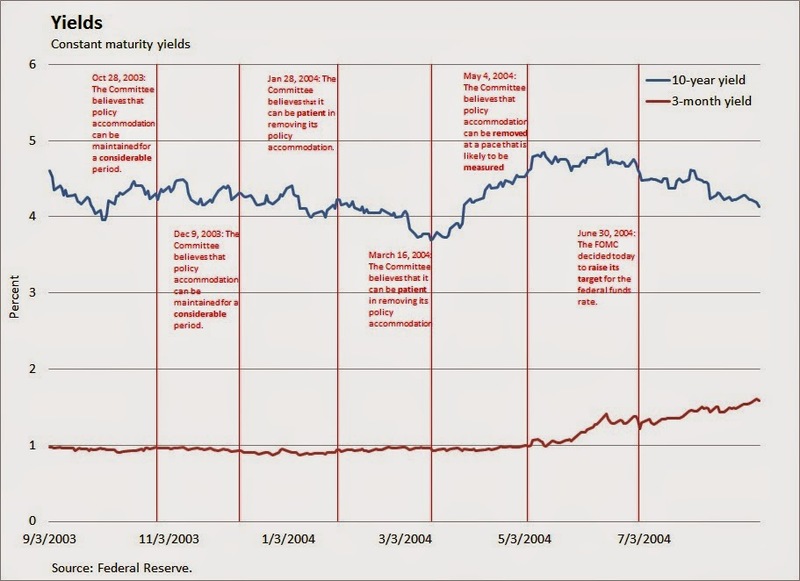 Tim Duy wonders whether predicting the Fed's change of language over the next six months will be as easy as looking at the statements from 2004. On Jan. 28, 2004 the FOMC statement introduced the word "patient", replacing the "considerable period" phrase. The Fed kept "patient" in the March 16 statement, and then in May 4 it replaced the key word "patient" with "measured." The first hike would come on June 30. 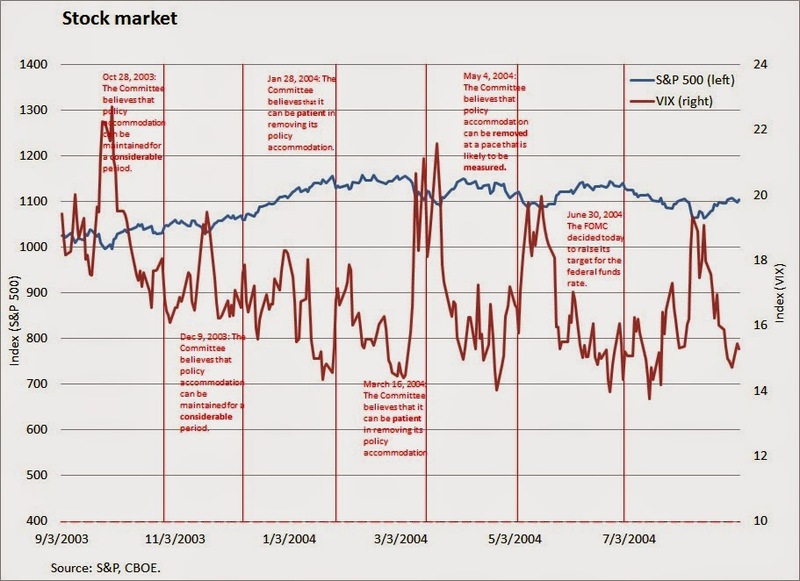 What did the markets do over that period? In the bond market the largest yield change was between March 16 and May 4, but it appears that at least part of it was a correction of a previous 50 b.p. decline. Treasury bill yields only moved significantly between May 4 and June 30, when the Fed actually raised rates. The stock market seemed even less unfazed by the Fed's changing statement.